'With a flourishing displ...ay of imagination and energy, "Secret World" presents the listener with an intricately structured instrumentation. “Dazzling” would be the perfect word to describe this album, which is imbued with the ebb and flow of melody. No matter which part of each track you listen to you will always be surrounded by a delightful sensation - a consistent elegance cleansed of any acoustic trickery such as incendiary notes. Denson's trim, almost stoic musical structure is the consequence of three conscious elements; an insistence on melody, soaring improvisation, and a finely detailed arrangement. These elements are drawn together and swell forward in one wave of music and his music resonates from all imaginable directions. The tonal range of each instrument is well placed in a dynamic approach allowing Denson's magnetic power to keep the whole arrangement stitched neatly together, which never allows the music to stagnate even for a moment. Despite the current bass-less format trend in music, which can is even to the point were the double bass has somewhat gained the image of being ”old fashion”, Denson's album proves to remind us of the great value of this titanic instrument. The albums affect is like when we are astonished by the sleek power of a classic car when it is revived after many years of absences. 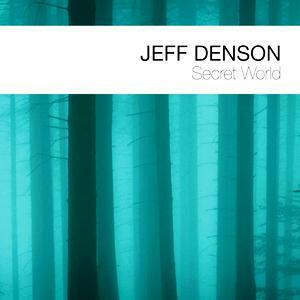 I can assure all devotees of jazz that Denson's "Secret World" will satisfy all music lovers, and not just admirers of the double bass. "